Angry Birds Epic is already on the virtual shelves on Google Play, iTunes, and the Windows Phone Store, but it seems that Rovio won't take a break and will continue to milk its wildly-popular game series. This time, however, it is teaming up with Hasbro Inc, the owner of the Transformers brand. The result of this collaboration will be a new Angry Birds mash-up title, dubbed... Angry Birds Transformers. 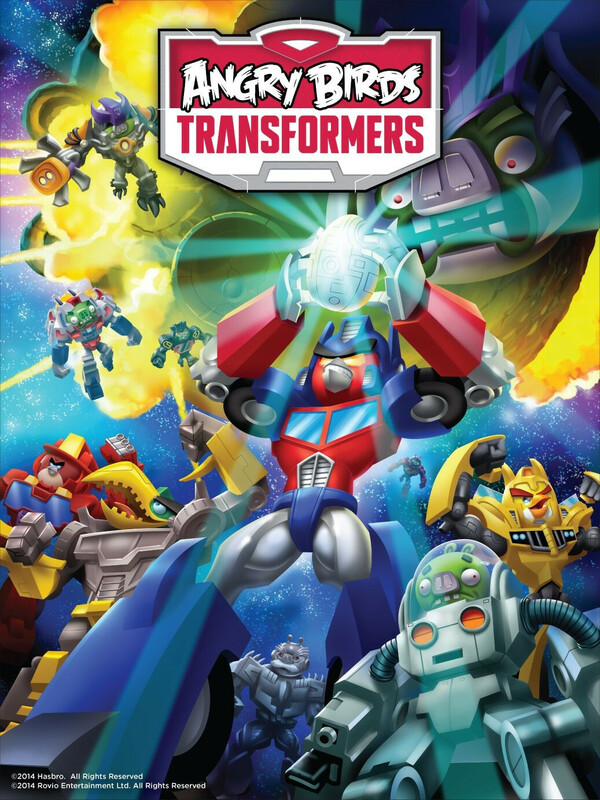 Yes, that's right, this spin-off will depict the battle between the Angry Birds' versions of the Autobots and the Decepticons. However, these will be named Autobirds and Deceptihogs in Rovio's universe - expect an ample amount of robotic avians and shape-shifting swines. "We're really excited to combine the iconic TRANSFORMERS universe with the quirky world of Angry Birds," revealed Blanca Juti, Rovio's CMO. "This mash-up is going to appeal to both those who grew up with the brand in the 80's, as well as fans of the brand today. People are going to love it!" Little is known about the gameplay of Angry Birds Transformers at this point, though. It could once again stray away from the concept of the very first Angry Birds games, which required you to use the fowl as projectiles and shoot at the bad green piggies with a giant slingshot. Angry Birds Go! and Angry Birds Epic are a racing game and a turn-based strategy, respectively, but we have no clue about Angry Birds Transformers. This is not Rovio's first movie-inspired Angry Birds game. As most of you probably remember, Angry Birds Star Wars and Angry Birds Star Wars II mixed the Angry Birds theme with the Star Wars universe. No release dates for Angry Birds Transformers have been revealed, but Rovio and Hasbro mentioned that we will be treated to additional information about the mash-up in the following weeks. We will keep you informed. This is all just pure rubbish. I haven't seen worse trash in a dumpster. Everyone here is at fault. Why would they let the Transformers franchise go to the dumps? Ohh yes because of money! Shall I call the Waaambulance? I prefer the anime version of transformers more than those movies. It's funny to see how trolls act on none WP related articles... As if they are civil community members.. How pathetic. Chill buddy. Tell that to other two fanboys named NokiaWTF and LiveItUpFlatUI.